How can I get my book on other retail sites? Why isn't my book listed on Amazon? Can I purchase a distribution service if I have entered my own ISBN? Can I upgrade my distribution package to globalREACH? Why do retailers say my book is out of stock or currently unavailable? Not every print book size and format qualifies for distribution. For a complete list of distribution eligible formats, see What Products are Eligible for Retail Distribution? To ensure your print book is listed on retail sites as swiftly as possible, be sure to carefully review all distribution requirements. Upload your manuscript making sure to include the ISBN on the copyright page. If you designed a one-piece cover, make sure you added the barcode to the back cover. Log into your Lulu account and go to My Projects. Click the Manage button next to your book's title. Review and select from the available distribution options, accept the terms and conditions, and click I Agree. While logged into your Lulu account, purchase the most recently published version of your book from either the Lulu Marketplace or from the My Projects page. This will serve as your proof copy. Deny the book and proceed to Step 9. Make revisions and upload the new manuscript and / or cover. Return to Step 2. For more information about making edits, see How do I make changes before approving my book? Lulu personnel and distribution printers will review your book to ensure it meets all distribution requirements. If your book is rejected for not meeting distribution requirements, you will be notified by email that the book must be revised. If your book meets all distribution requirements, it will be passed along to the retail sites associated with your distribution package. Please note that online booksellers update their databases monthly. Therefore it could take approximately 6-8 weeks for your book to be listed for sale on these retail sites. Lulu offers free print and eBook distribution options that will get your book into the global marketplace. This network reaches online print book retailers such as Amazon, Barnes & Noble, and retailers in the Ingram catalog network. Lulu also provides eBooks distribution (English content only) for Amazon Kindle, Kobo, Apple iBookstore, Barnes & Noble, and all online eBooks distributors associated with the Ingram network. For more information about our free distribution options and revenue potential, see Distribution Services. It can take 6 to 8 weeks after you approve your book for it to hit an online bookshelf. This is because most booksellers only update their database once a month. The decision to list a book is up to the individual retailer. In our experience, Amazon will almost always list a book for sale once they have access to it. Yes, as long as your book meets all distribution requirements. If you were previously approved for our extendedREACH Distribution, you can upgrade to globalREACH distribution. Click the Manage button next to the book's title and choose to apply globalREACH. We will confirm your book meets the formatting requirements for globalREACH. If it does, all you have to do is review the terms & conditions and click the I Agree button. Please Note: If you are upgrading from another distribution package, you are not required to purchase a new proof copy. A book may appear on a bookseller's site as Currently Unavailable or out of stock while it is being processed. If it is unavailable for longer than 8 weeks after you have approved your book, please click the Support button in the upper right corner of the page, choose Selling > Distribution beyond Lulu.com > Retail listings. Click I Still Need Help to report the issue to our support team. For a faster response, please include the book's ISBN in your support request. 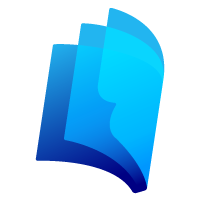 If your book's manuscript, description, category and/or price are accurately displayed in the Lulu.com bookstore, but not on retailer sites, revise the project details (click on the project title) and immediately approve the changes. This will trigger the book's data to be re-sent to retailers. If information is inaccurate on both the Lulu and retailer sites, revise the book on Lulu, fix the mistake, and then approve the book for distribution. This will trigger your book's data to be re-sent. Please note: Data and file changes can sometimes take up to eight weeks to process. If the title or author do not match what is listed on Lulu, please contact Lulu Support. If you revised your book's manuscript and it has been more than eight weeks since you approved the newest version for distribution, please contact Lulu Support. If it has been less than eight weeks since you published and approved the revision, the files could still be processing. Retail price changes also take several weeks to update on retail sites. If your retail price change is not reflected on retail sites after four weeks, please contact Lulu Support. If the incorrect information displayed on the retailer's site is not data you provided Lulu, please contact Lulu Support. To assist in our investigation, please include the ISBN or a link to the product page when submitting your support request. If your book is revised or rejected prior to distribution, the process starts over at step 2. For more information about revising an approved version of your book, see How do I make changes after approving my book? What Products are Eligible for Retail Distribution? How do I make changes before approving my book? How do I make changes after approving my book?